Anne also studied for two years at the Sorbonne in Paris and received her formative musical training at the New England Conservatory. Anne K. Rasmussen joined the faculty of the College of William and Mary in 1993. She is professor of music and ethnomusicology and in 2014 was named the William M. and Annie B. Bickers Professor of Middle Eastern Studies. She was inducted into the Phi Beta Kappa honors society in 2014, currently serving as Vice President of the Alpha Chapter, (the highest presiding officer on campus) and is the recipient of a Plumeri award for faculty excellence. She has repeatedly been elected to the board of the Society for Ethnomusicology and currently serves as its past-president (2016-2017). Since 1994 Rasmussen has directed the William and Mary Middle Eastern Middle Eastern Music Ensemble, a forum for the study and performance of music and with musicians from the Middle East and Arab world. Over the years, the ensemble has hosted more than sixty guest artists, has recorded two compact disc recordings, and has made international concert tours in Morocco and Oman. Rasmussen also serves on the faculty of Asian and Middle East Studies at William and Mary and has been chair of the Middle East Studies Faculty and co- director the Asian Studies Initiative. She also chaired the Department of Music from 2011-2014. In Spring 2007 Rasmussen was professor for the William and Mary in Washington Program. Rasmussen’s broad research interests include music of the Arab world, the Middle East and the Islamicate world, music and multiculturalism in the United States, music patronage and politics, issues of orientalism, nationalism, and gender in music, and fieldwork, music performance, and the ethnographic method. She teaches a family of courses in ethnomusicology and music research at William and Mary and has mentored a number of William and Mary student toward graduate study in ethnomusicology and careers in music and academia. Rasmussen’s book Women, the Recited Qur’an, and Islamic Music in Indonesia, (University of California Press 2010) is recipient of the Alan Merriam Prize Honorable Mention for 2011. 25 musical examples analysed in the book may be heard on the University of California Press website. 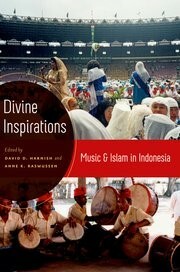 Another volume co-edited with David Harnish titled Divine Inspirations: Music and Islam in Indonesia, was published by Oxford University Press in 2011. 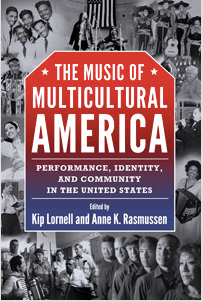 Rasmussen is co-editor with Kip Lornell of The Music of Multicultural America: Performance, Community, and Identity in the USA. Originally published by Schirmer in 1997, the second revised edition of this “classic text on American Musical expression” with four new chapters and a new introduction was published in 2016 by the University Press of Mississippi. Since 2008, Rasmussen’s chapter on Music in the Arab World appears in both the flagship and the short edition of the popular ethnomusicology text, Worlds of Music, edited by Jeff Todd Titon and published by Cengage.Please see the curriculum vitae that lists the many articles, Rasmussen has published in Ethnomusicology, Asian Music, American Music, the Garland Encyclopedias, the Yearbook for Traditional Music, the world of music, and in a number of edited volumes and textbooks. She is winner of the Jaap Kunst Prize for the best article in the field of Ethnomusicology in 2001. During her sabbatical leave (2010-2011) Rasmussen pursued new research in the Persian Gulf Nation of Oman supported by a fellowship from the Omani Government and the Sultan Qaboos Cultural Center. She served as guest editor for a special issue of the journal The World of Music: New Series titled “Music in Oman: Politics, Identity, Time and Space in the Sultanate,” and has visited that Gulf nation and its neighbor nations for fieldwork and conferences on several occasions since 2010. In January 2014 Rasmussen, along with her William and Mary colleague, geologist Chuck Baily, led a study tour to Oman to learn about the the country’s fascinating nature and culture. Dubbed “Rock, Music, Oman,” you can read about that study-tour in the cover story of World Minded, the magazine of the William and Mary Reves Center for International Studies. During the January-June, 2017 Anne Rasmussen returned to Indonesia to pursue new research in Indonesia supported by a Fulbright US Scholar Fellowship. While in that country she gave some 18 academic and 28 musical performances, many of which can be found by searching her name in YouTube. Founded in 1994, the W&M MEME, has become an important part of the department, the program in Asian and Middle East Studies and the campus community. The ensemble hosts numerous guest artists from various Middle Eastern musical and cultural traditions and performs in contexts that range from elementary schools, to academic conferences and arts festivals, to formal concerts. With the collaboration of Jonathan Glasser, Associate Professor of Anthropology at W&M, the ensemble has traveled extensively in the mid-Atlantic region and has toured and performed in Oman (2014) and Morocco (2014, 2015). The ensemble has recorded two compact disc recordings. Instrumentation in the ensemble includes ‘Ud (Middle Eastern Lute), Violin, Viola, and Bass, Qanun (zither), Darabukkah, Riqq, and Daff (percussion instruments), Nay (reed flute), sometimes accordion and saxophone, and singing in the major languages of the Middle East region: Arabic, Turkish, Farsi, Hebrew, and Ladino. The ensemble has released two CD recordings. You may learn more about them by visiting our website. In spring semester 2007, Rasmussen served as the professor for the William and Mary in Washington program. The theme for the semester was “Washington and the Arts” and 14 student-interns, along with professor Rasmussen explored issues of arts patronage, policy, programming, production, education, artists, audiences, contexts, histories, communities, and individuals through visiting some of Washington’s important institutions of arts and culture and exposure to leading figures in the Washington arts world. The participating W&M students pursued internships at National Gallery of Art, Red Dirt Sculpture Studios, the Hirshhorn Sculpture Museum, Smithsonian Folkways Recordings Co., National Portrait Gallery, National Public Radio: All Things Considered News Program, Slate Magazine, Center for American Progress, National Geographic Traveler Magazine, Washington Choral Arts Society, Worldwatch Institute, Smithsonian Museum of American History, and the Wooly Mammoth Theater. Rasmussen will lead this program as the W&M in DC Professor in Spring 2019.